Bringing excitement to the long month of January is Snow Days, a festival celebrating all that is winter. From Snow Sculptures in down town Banff to all the different activities you can get involved with, it’s a fun event that gets people out of their winter hibernation. We were lucky this year in that the weather wasn’t too frosty, but still cold enough that the sculptures held their shape really well. Snow Days isn’t the only festival we enjoy over winter, with Lake Louise also playing host to the annual Ice Magic festival as well. About 15 of these colossal snow sculptures have sprung up around town these past few weeks. They are lit up in the evenings, which almost seems to make the figures come alive! 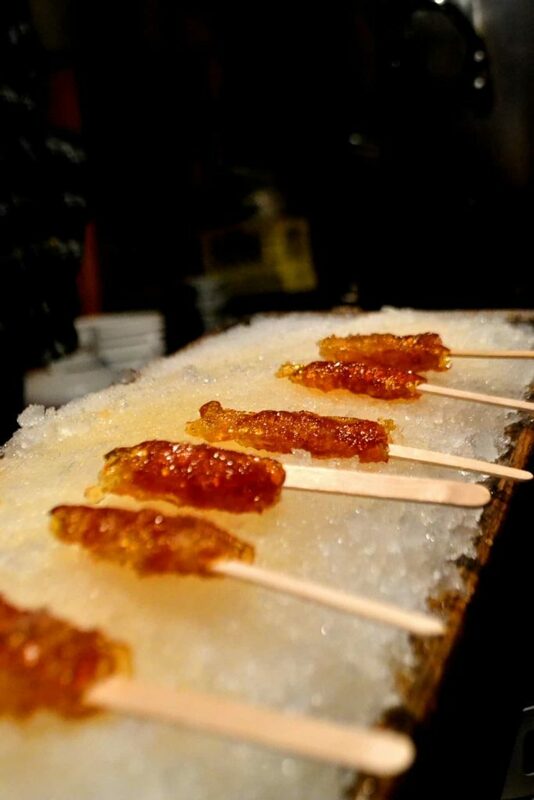 Only in Canada… do you pour maple syrup into snow and create the sticky, sweet treat called Maple Taffy! The cooled taffy is rolled onto a stick and enjoyed like a stick of candy. So good! 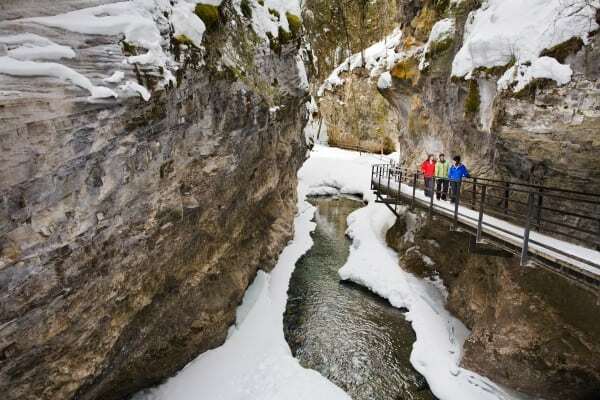 One of the most spectacular ice walks in the whole of Canada lives just outside of Banff. Johnston Canyon is a popular destination in the summer time, but if you ask me it’s more beautiful in the winter when the canyon is silent and you get to enjoy the majestic frozen waterfalls. The Ice Walk is a signature event, and a definite must-do in the winter. Plus, you get to enjoy the maple taffy mentioned above! The Ice Magic festival every January at Lake Louise brings ice carvers from all over the world to compete in various competitions. It also draws in crowds who come in every year to marvel at these artists in action and skate on the iconic Lake Louise. This is one of my favourite pieces from this year’s competition. To warm yourself up after a day out admiring snow or ice sculptures, or from whizzing about on skis, a snowboard or in a tube, nothing can beat warming yourself up with a cozy hot chocolate, perhaps with a bit of baileys thrown in for good measure!